So please bear with me as this is my first ever blog post, and I'm not sure what to write. 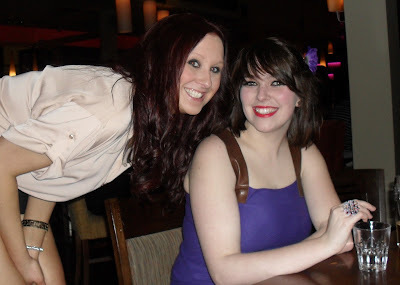 So Ray aka my bestie has finally told me that she has a blog, I’ve decided to do a guest post for her while she has left me for a week in the sun. Now as she has kept this on the sly for so long, I know she has mentioned me before on the blog as the “bestie”, but now I can be set loose on here for some guest posts. 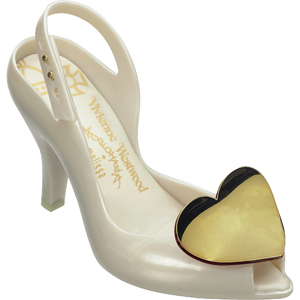 Now my twin brother is obsessed with Vivienne Westwood, and his obsession has rubbed off onto me. Ever since I have spied her Melissa shoes in VW store in Newcastle I have needed a pair of them in my life. That dollydagger just swept me off my feet!